Find out why Park Avenue LASEK is the best choice for your vision! Looking forward to looking 20/20 thank you it’s painless procedure and it does work. Park Avenue Lasek is the only place around where you can have a refractive surgery or correction for your eyes without blade. It is a more advanced technique than Lasik. Dr. Chynn is probably the most experienced refractive surgeon in the US. He completed his BS in Biology from the Dartmouth College and his MD from the Columbia Medical School which is a very hard school to get into and graduated with honors and did his Residency at the most prestigious place in the US for Ophthalmology Residency: Harvard University’s Massachusetts Eye & Ear. I have heard Dr. Chynn since long but I was rejected by too many doctors because my Astigmatism is so severe so I was afraid that he will reject me. And, at one point I was about to come to him but I went to Dr. Bonanni who accepted me. But, Dr. Bonnani passed away like last year because of Accident. Dr. Chynn has been a pioneer since the Lasik technique was invented at the Columbia Medical School and also when LASEK was invented at Harvard. When I came, there were a lot of people coming from far including Chicago and Europe just to have the surgery with Dr. Chynn. Dr. Chynn said: he can regain my sight into 20/20 for both eyes while Dr. Bonnani the only person who accepted me said: he can only regain my sight into 15/20 and 18/20. Dr. Bonnani said he was very sure that nobody can regain my sight into 20/20. But, Dr. Chynn said he could. After comparing, I believe Dr. Chynn credentials is way above Dr. Bonnani. I wish I had met him earlier or gave it a chance last 2 years. I believe my sight would have been 20/20 by now. Dr. Chynn could solve my problem, I am very optimistic he could solve your Eye problems also. staff very friendly taking time to explain all types of questions not rushing met the doctor who asked a few questions and said not to worry doing surgery in a week can’t wait. staff is very very very helpful big shout-out to Tarek and Tetyana. Very friendly staff. Amazing doctor. Had a high prescription, 3 months post op happy with the results so far, vision getting better every day . Thank you. Have not gone through surgery yet. In regards to the pre-op, was a great experience. The staff was warm and knowledgeable. Dr. Chynn was the best decision I’ve ever made. I went to almost every LASIK center in NYC, but none of them could treat me vision because I had both a high prescription AND thin cornea, so they all said it would be unsafe to get LASIK. One day, a coworker who also had an extreme Rx (-15.00, which was significantly worse than my -10.00) said he got his eyes fixed with LASEK by Dr. Chynn. I googled his office and noted his very high ratings. In addition, he graduated from Dartmouth, Columbia, Harvard, Emory, and NYU (I graduated from “just” NYU myself), and had performed over 20,000 procedures, both LASIK and PRK and LASEK. Dr. Chynn also has the RECORD OF TREATING THE WORLD’S HIGHEST RX OF -24.00 which was important to me, as I was in that “extreme” category myself. I was really excited because I started to think nobody would treat me. So went on to a Free Consultation. I learned that unlike the old LASIK where they cut the cornea, where one can potentially get hit in the eye and it can come off, this is impossible because LASEK is 100% NON-INVASIVE. They remove just the skin of the eye called the epithelium to laser your eyes. NO CUTTING THE CORNEA, NO FLAP. This is why Park Avenue LASEK can safely treat much higher Rxs than is possible with LASIK, because by skipping the flap-cutting step they have much more cornea to work with. The rest is history. Now I am seeing better I was seeing in my ugly glasses and expensive ($500/pair) custom contacts, or a perfect 20/20 (before I only saw 20/25)–all thanks to Dr. Chynn!! It was the best decision I’ve ever made. Plus they only charged me $1/day more than what I was spending on glasses/contacts/solutions. Dr. Chynn is available by text 24/7, so whenever I had a question, he was always there, even on weekends/evenings. He is the only laser vision correction surgeon in NYC that allows this, which was important to me, as I was pretty scared, given my extreme Rx. I had a great experience with Dr. Chynn at Park Avenue Lasek although I understand other people’s reviews. Some people might be turned off by Dr. Chynn’s personality and how he interacts with staff, but the guy is clearly brilliant as evidenced by his impressive resume (Dartmouth, Harvard, Columbia, Emory, NYU). He is a bit of a perfectionist and is always on his staff 24/7 correcting any mistakes they might make to ensure that you have a perfect visual outcome. For Dr. Chynn optimal outcomes are the most important thing, which is how it should be. For example, he came up with the ingenious idea of creating an SMS or WhatsApp group for all patients, where his entire staff and himself are in the group with the patient and any caregivers. That way, if you have any questions in your postop recovery period all you have to do is text the group, get the answer from his staff, and he can monitor the answers and add more detail if necessary (as happened with me). It’s much easier to communicate via text in this day and age than have to constantly call the doctor’s office. As a healthcare professional I recognize and appreciate the many protocols and systems that Dr. Chynn has spent extraordinary time putting into place to ensure optimal outcomes. I chose Park Ave Lasek based on recommendations from coworkers and friends who had gotten Lasek done through Dr. Chynn and they had nothing but good things to say. Note that the vast majority of negative reviews are from people who never proceeded with the surgery, which is like putting up a negative restaurant review when you didn’t like the greeter so never bothered to dine there and sample the food. Ultimately what matters is the long term health of your eyes (you only have two after all and seeing is kind of important) both in regards to vision and lack of side effects. Towards that goal you want the most competent and experienced doctor you can find and Dr. Chynn fits the bill. Dr. Chynn is great, I was a -12 and thanks to Dr. Chynn I’m able to see 20/25 which is the same as contact and glasses. I’m so thankful I choose him. My surgery was 4 months ago and I couldn’t be happier. The reason of why I choose Dr.Chynn was because he uses non-flap cutting so it is 10 times safer than regular Lasik. I couldn’t be happier with my Lasek procedure! I can see better than 20-20 and the best part – no more reading glasses!! As a Tennis Pro, I could never do traditional Lasik, I couldn’t take that risk of forever having a flap. I’m so thankful I gound Dr. Chynn! 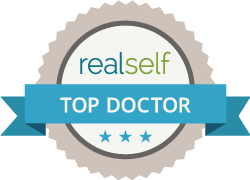 Dr. Chynn, Has been an extremely caring physician in my experience. Only just recently, Dr. Chynn took the the time on a Sunday evening while dining with his family, to give both me and my brother who lives in another state input and help viz. my brother’s situation. Dr. Chynn provided us with an excellent referral for a colleague of his in SFO whose highly regarded. The several office visits that I’ve had in the past– Dr. Chynn has been most attentive, and clearly is highly qualified experience and knowledgeable. Exceptionally so. The office can be lively, however that in no way reflects on the excellence of the medical services provided. Best doctor ever very patient helped me along the way. I had Lasek surgery in April 2018 and can now see better than 20/20! I had worn corrective lenses for nearly 20 years so the outcome is beyond thrilling! I am so pleased with the service I received at Park Avenue Lasek! Dr. Chynn is very informative and walked me through the procedure with incredible detail that addressed my questions and concerns. His medical staff provided a very personalized, high-touch experience and I felt very comfortable during each visit. The office even has a friendly Russian Borzoi dog who acts as a perfect therapeutic distraction and makes the office feel more inviting. I would recommend the procedure and choose Park Avenue Lasek. Dr. Chynn is a very professional, punctual, and my overall experience was great. My parents got me the best graduation gift ever, LASEK at Park Avenue LASEK. If only they had set me up much sooner, I would have thrown my glasses away a while ago. My parents are both doctors and they decided to choose Dr Chynn over anyone else because of his reputation/background. My dad had the older LASIK procedure a few years back and he now wishes he had done Dr Chynn’s LASEK after my perfect results. LASIK gave my dad annoying night glares and weird halos that he’s always complaining about especially when driving at night so I was a little bit skeptical about going under the laser. But as a researcher who spends ALL their time reading tiny fonts and typing on the computer, I got sick of my glasses and needed to get rid of them before starting grad school. I don’t see why anyone would get LASIK anymore, my dad said, and set me up with LASEK instead (thanks dad). I can literally see better than I’ve ever seen before in my glasses, I hated wearing contacts because my eyes are especially sensitive. I’d give my entire experience a 10/10, the results were much better than I thought possible. Still visiting Dr. Chynn after 10 years! First, I was super sceptical. I did my research on this doctor and found out too much trash talking… but I don’t trust all people say , because we are all different, plus everybody has a right to think and say what he/she wants. So, I’ve called my mom, and we went for first consultation. Have to say, I had seen other doctors earlier, but wanted to have options and different opinions. Yeh, I had to wait… but since I saw already couple doctors and waited for them as well, I was prepared mentally and probably it did not bother me. I just knew it would be my last thing I was going to do that day. So, I book at 4. Dr. Chynn told me my prescription was too high (-9,5 both eyes plus a lazy eye), but he guaranteed to make my eyes perfect. I did not believe and went home to think, because other doctors offered 4 stages procedure , and here dr. Chynn said it could be done in one shot. I liked the price , it was twice cheaper than other clinics. Plus I spoke to people who did with him surgery and they told me that he could do miracles. So, I gave it a chance. Now I see 20/20.. driving without contacts or glasses .. loving it. Yeh horror of inconvenience of wearing those are gone forever. Frankly, I did not fall in love with Dr. Chynn ; he seemed to be strict and a bit too straight forward .. but I came to peace with that because all I wanted was to have perfectly seeing eyes; my uncle is a surgeon, and he is not a fun person …. so I don’t expect from people who do serious job run around and make me happy. My mom said that we were there not to make friends and enjoy the time taking to staff but get results. What I was looking for was a confidence of doctor in his own skills, knowledge, and guaranteed positive outcome. I hate smiling and cute doctors who resemble my fiends when sympathy me…. From doctors, I need “ this can be fixed and I give my word I will do it” , that’s is all. I am very happy I did a lasik surgery. My eyes healed quickly, I did though followed everything Dr Chynn told me to do after procedure … so, now I have zero complains. I send my fiends to their eyes and highly recommend anyone who is interested in having excellent eyesight.